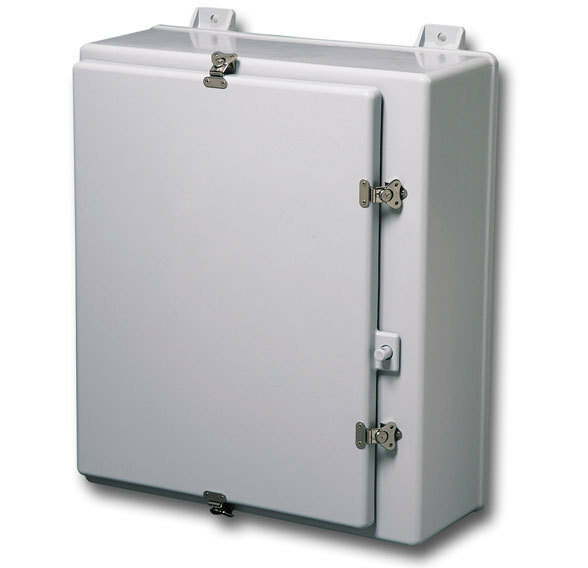 Molded under heat and pressure to produce superior chemical resistance in corrosive applications, fiberglass electrical enclosures are used both indoors and outdoors to house wireless equipment, terminal wiring, instrumentation, electrical controls, and other sensitive electrical or electronic components. 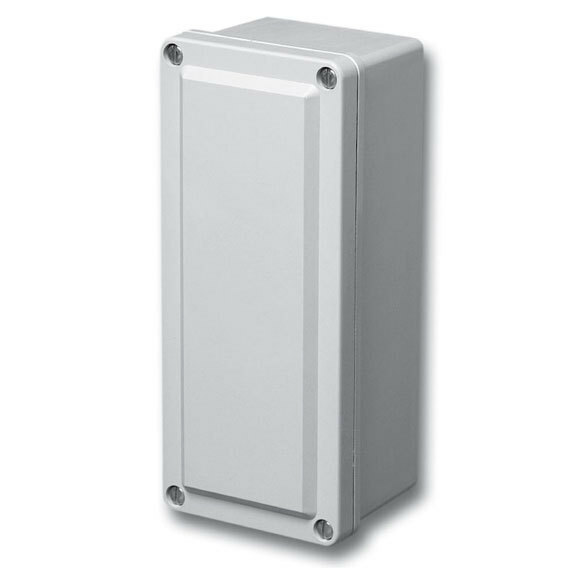 The glass fiber reinforcement also increases impact resistance, produces a superior range of temperature limits and withstands tensile loads. 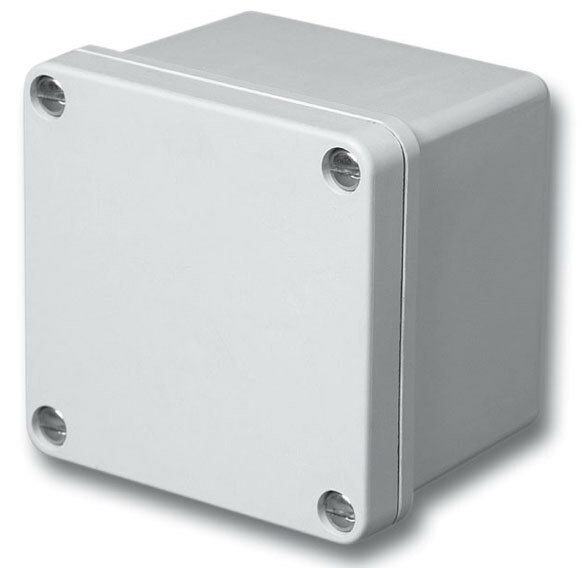 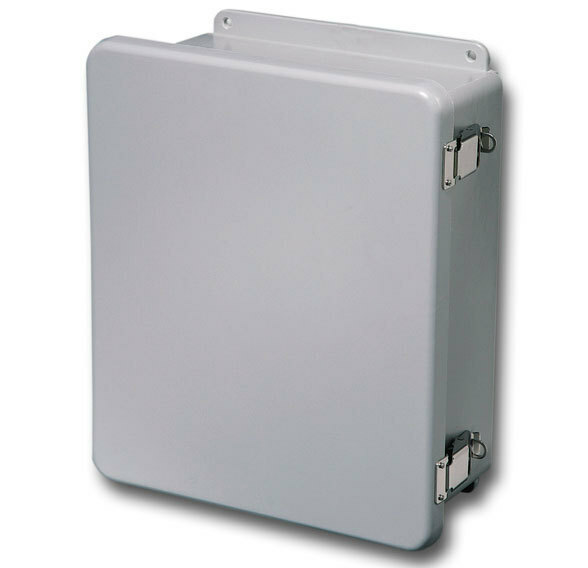 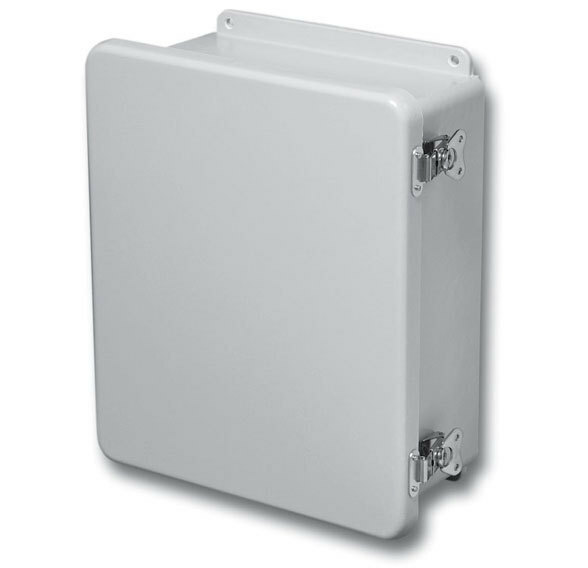 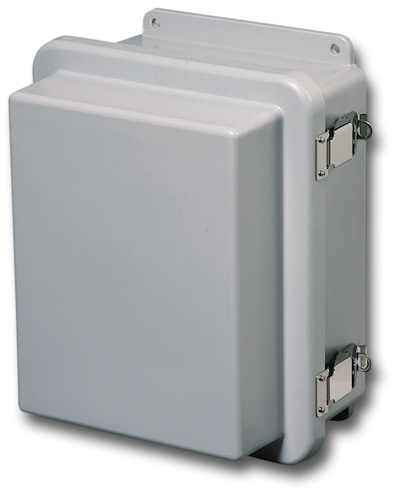 Fiberglass enclosures have a relatively low cost compared to others made with different materials. 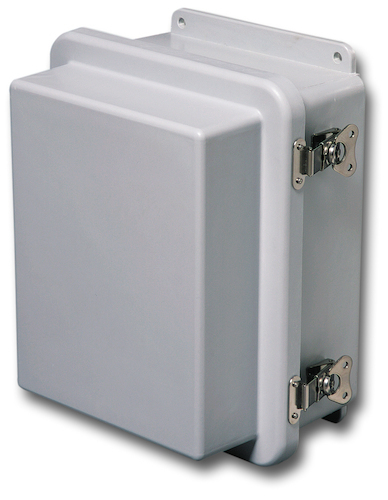 Yet, they are still strong, long lasting enclosures that protect against dust, dirt, oil and water. 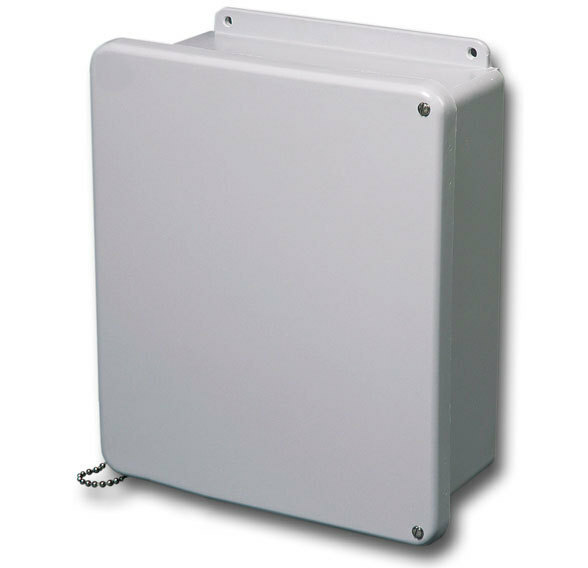 Most models also carry a NEMA 6 rating for temporary submersion. 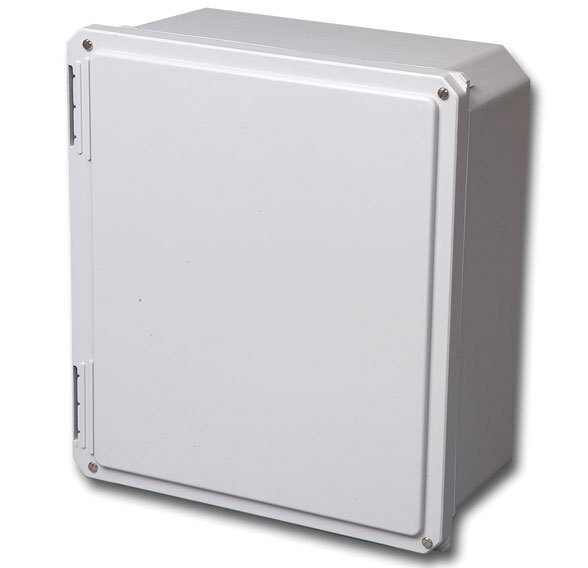 There are few restrictions with molding fiberglass, giving engineers more design flexibility for their fiberglass enclosures. 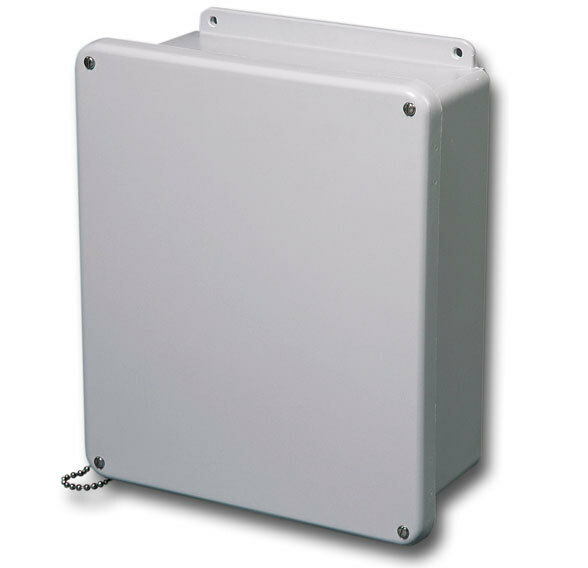 Browse our stock fiberglass enclosures below, or contact a sales rep near you to discuss modified or custom enclosures.